42:34 – “Jaguars are awesome,” the new van, Sirius XM satellite channels, current audio projects, a trip through the car wash, review of The Boss, better luck with neighbors this year, searching for a Prince greatest hits CD, Grateful Dead 3/18/71 in St. Louis, buying CDs in the nineties as compared to now, Pearl Mackie cast as new Doctor Who companion, prom kids taking selfies in Wal*Mart parking lot. Recorded 4/23/16. Theme song composed by Jimbo. Used by permission. Released April 2016 on The Overnightscape Underground (onsug.com), an Internet talk radio channel focusing on a freeform monologue style, with diverse and fascinating hosts. 2:47:37 – Frank in NJ and NYC, plus the Other Side. Topics include: Shopping mall expansions and local governments, recordings poking into the future, oblivion, Akashic Records, transit delays, Hearthstone, red monkey dream, chocolate croissants, Pacific Mac & Cheese, the new planets, demolition, reincarnation, Rob Zombie, Theda Bara, Grand Central, Ditty Diego, celebrities suing their fans, Indian food, Prince, Yogg-Saron, C’Thun, fell over, languages, litter, plastic bags, subway, South Ferry, SeaGlass Carousel, Battery Park, Charging Bull, Occupy Wall Street, marinara incident, World Trade Center, and much more… plus the Other Side (at 2:05:16)… Carvel Ice Cream – “Tom Turkey Cake” (Commercial, 1984) [FuzzyMemories.TV], Umbrella [Onsug, CC BY-NC-ND 3.0], Spybreaker by Phantom Operators [Jamendo, CC BY-ND 3.0], WCIU Channel 26 – The Ginny Tiu Show (Part 1, 1969) (excerpt – pen ads 2) [Fuzzymemories.tv], Futurama Promo [collection], SEGA “Galileo Factory” [YouTube], Bottom Rung by Nite Jewel [FreeMusicArchive, CC BY-NC-ND 3.0], February 11, 1984 Showtime promos [YouTube], Bobby Fuller Four – KHJ Big Kahuna Theme [Archive.org], Say Hi by Wead [Archive.org, CC BY-NC-ND 3.0], GTE Commercial from 1987 [YouTube], SHOWTIME promos (July 1984) [YouTube], Nixon – “I’m Not A Crook” [collection], Stocker (Sente, 1984) [MAME], WMAQ Channel 5 – Sword of Justice – “Port of Entry” (Opening & Break, 1979) [FuzzyMemories.TV], Moquette by Sun Sister [EardrumsPop, CC BY-NC-ND 3.0], Skin As Smooth As Porcelain by The Sunshine Factory [Archive.org, CC BY-NC-ND 3.0], The Secrets by Bullette [Archive.org, CC BY-NC-SA 2.5], Octopus by Mystic Morrison Visions [FreeMusicArchive, CC BY-NC-ND 2.0]. 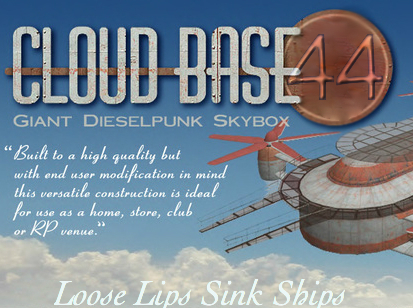 1:07:39 – Join Eddie for another episode of Cloud Base 44! 44:00 – In which I roam around on my own in an odd state of vacation malaise. Much rampling contained herein. Part 4 of 6. Recorded 7/3/13, edited 4/20/16. Special note: Due to a scheduling snafu, there will not be another Lum and Abner Showcase episode released this week because I forgot to record one. Yeah, my bad. 3:02:46 – Frank in NJ and NYC, plus the Other Side. Topics include: Hedgerow snow damage, litterbugs, the metric system, cats and plants and music, sandwich mission, the Prince topic, reality simulation, alienation, Game of Thrones, The Night Manager, Le Car, Wayward Pines, Outlander, Silicon Valley, new continents, Cracker Jack prizes gone digital, sandwich review (new Hale & Hearty mini Signature Sandwiches – “Murray’s Cheddar with Sweet and Spicy Pickles & Beer Mustard “, “Smoky Deviled Egg”, “Roasted Tomato Caprese”), Ann Sothern, Times Square, new Hearthstone expansion “Whispers of the Old Gods” released, Onsug Radio, grand pianos, Tubular Bells II, stream of consciousness, zaniness, Pellegrino incident, opening Whispers of the Old Gods packs in a cold and wet Bryant Park by the carousel, virtual TV station idea, and much more… plus the Other Side (at 2:14:25)… Khaki by Who Ha [FreeMusicArchive, CC BY-NC-SA 3.0], Up Against The Wall Redneck Mama (Edit) by AMANDA [FreeMusicArchive, CC BY-NC-SA 3.0], Magic Gestiuculations Shampoo by Another Flask of Weird [Archive.org, CC BY-ND 3.0], Time Desolation by Plastic People [Jamendo, CC BY-NC-ND 3.0], Google your way to a wacky office [YouTube], Private School (1983) [YouTube], Velamints Licorice Ice (Commercial, 1982) [FuzzyMemories], WFLD Channel 32 – Wonder Woman & Space Invaders (Promo, 1982) [FuzzyMemories.TV], Weird October Hitchhiker [Onsug, CC BY-NC-ND 3.0], Grand Forks – Columbia Mall commercial (1980) [YouTube], Crystal Valley Campers – “7th Annual Camper Show” (Promo, 1972) [FuzzyMemories.TV], Fantasyland Viewliner Station (Oldsmobile) [collection], The Sure Thing (Trailer, 1985) [YouTube], Hold That Line by Elixir [Jamendo, CC BY-NC-SA 3.0], Strawberry In Your Shoes by locarnoband [Jamendo, CC BY-SA 2.5], Flutterby by Starlight Girls [Bandcamp, CC BY-NC 3.0], Woodland Sketches by Polar Lion [Onsug, CC BY-NC-ND 3.0], Nixon ‘HelplessGiant’ [collection], Drunken Sailor by Jennifer Avalon [Jamendo, CC BY-NC-ND 3.0]. 1:41:37 – New Theme Music from Jimbo!! Chad Bowers, Rubenerd, Frank Edward Nora, and Shambles Constant join PQ for a well-rounded and fascinating look at News!! 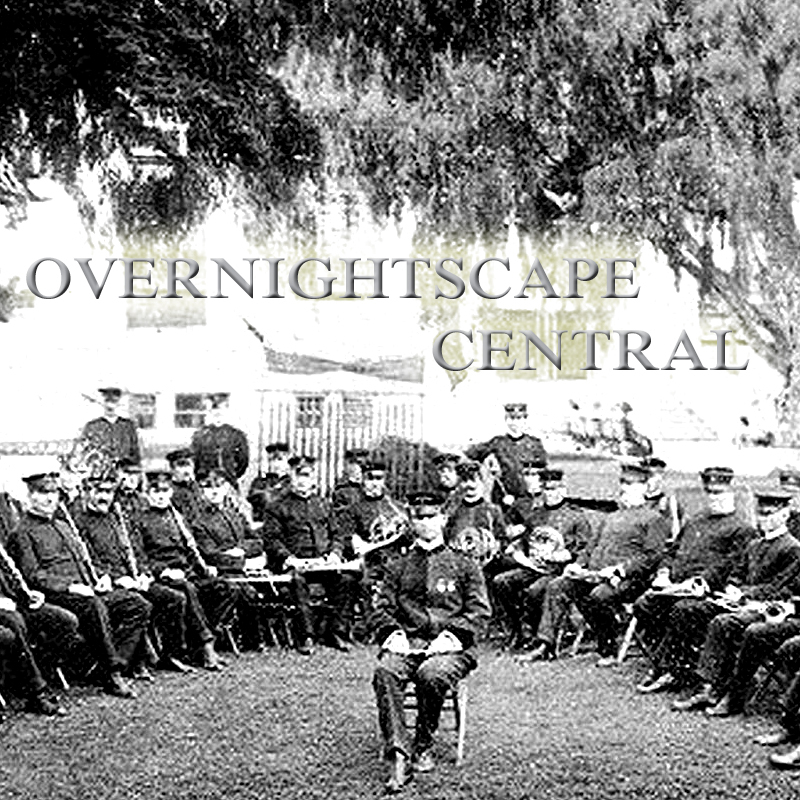 Released April 2016 on The Overnightscape Underground (onsug.com), an Internet talk radio channel focusing on a freeform monologue style, with diverse and fascinating hosts presenting an array of talk-driven programs of distinction. 35:00 – Abner lies… but don’t worry, he doesn’t mean any ‘arm. Recorded 4/21/16. 29:26 – Recording on a new phone, sci-fi, custom plates, retro computer fandom, upgrade cycle fatigue, listener feedback (Jimbo), Mascot Woolies, chirping birds, farewell One Coffee Bean, food in NYC and Sydney, bagels, cheesecake, Instagram, Southerner stereotypes, and pronouncing food locations. 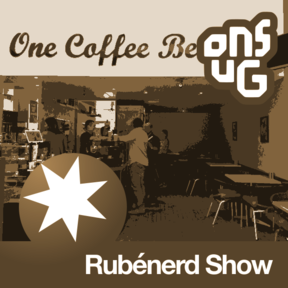 Released April 2016 on Rubénerd and The Overnightscape Underground, an Internet talk radio channel focusing on a freeform monologue style, with diverse and fascinating hosts. You are currently browsing the archives for the 'Apr16' category.